Tire is about 1" shorter and 1/2" wider than stock 170/80/15. Should get me a little more acceleration on the bottom end, and not worried about top end since I don't even get into 4th gear (my top gear) till 65 mph. 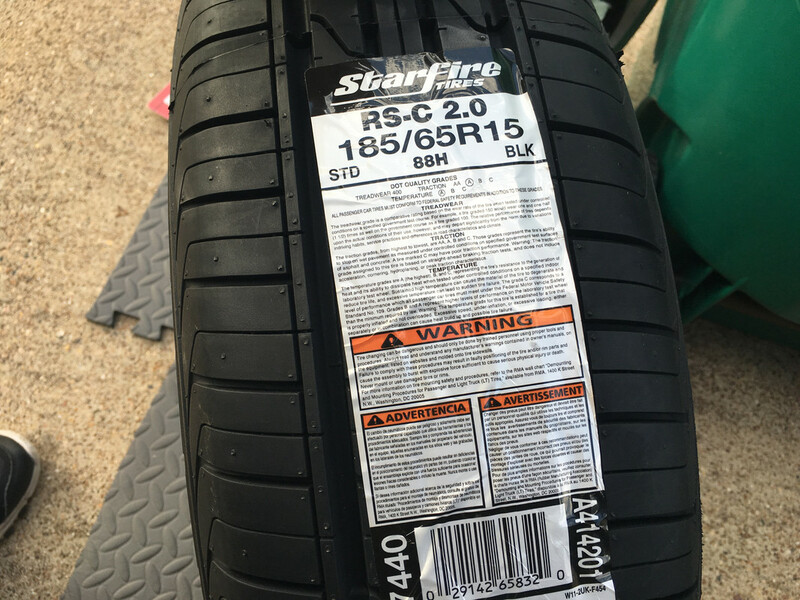 No idea how good (or bad) this tire will be, but for $40, I figured why not. And I still have problems. I can't get the bead to seat. My compressor will only inflate to ~80 PSI, and apparently it is not enough to get it to pop. I had cleaned the bead seat (used 320 then 400 grit sand paper) and have tried soapy water and even some Kentucky Jelly. 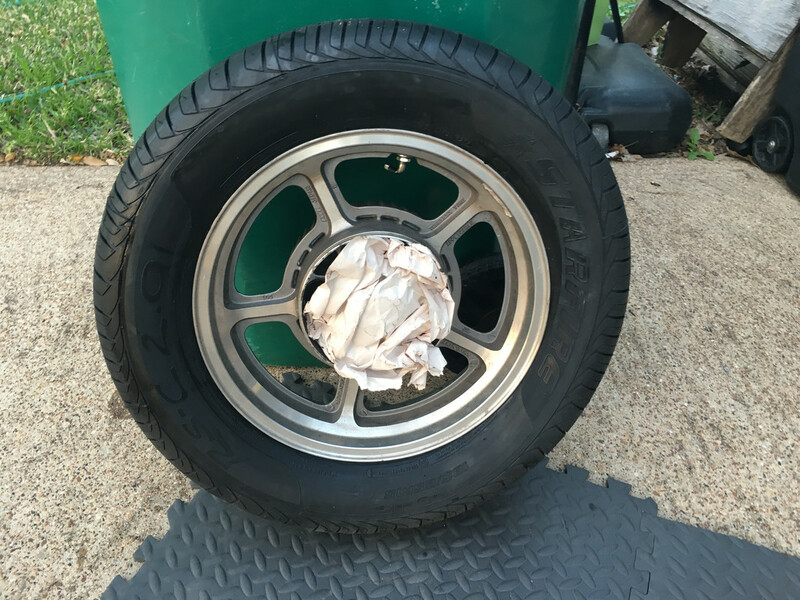 Just not enough pressure I guess (seems 15" motorcycle rims (just over 15") and 15" car tires (just under 15") have a hard time seating, 100 psi is normal from what I can find). I have also read I may need to reposition the tire (right now part of it is seated, part is not, possibly needs to be all unseated). I will be trying that tomorrow, and if not, Monday have a friend with a compressor that I can do up to 120 psi (don't want to go that high though). 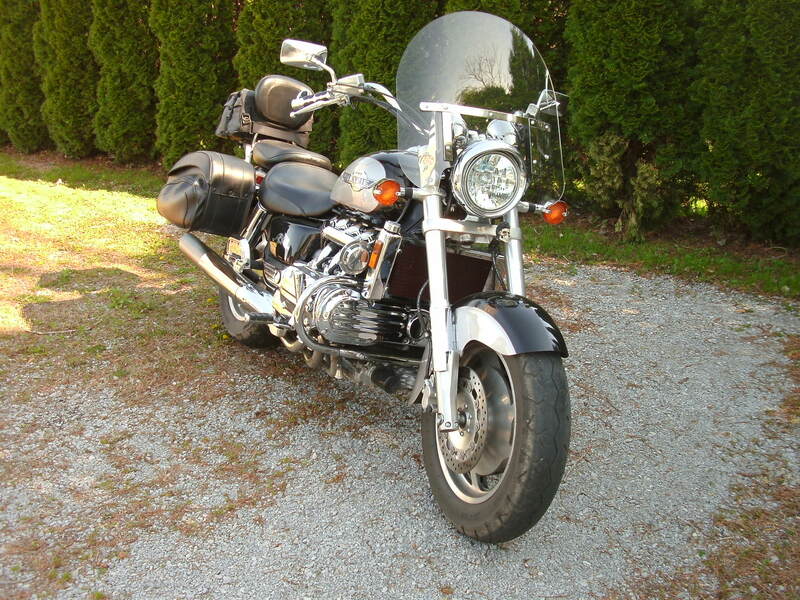 So for $105 (about the cost of a "quality" motorcycle tire), I will be giving the Darkside a try. edit: forgot to add, I plan on using some Ride On tire sealer/balancer to balance the tire. I will be using the ATV stuff. Have read many use it instead of the motorcycle specific one with good results. While the ATV one does not state it is for balanceing tires, it does work for that as well (and is a lot cheaper than the motorcycle version). It was $20 for a 32 oz bottle (enough for front (8-10 oz) and rear (12-15 oz) tire). The Motorcycle stuff is around $15 for and 8 oz bottle, and you need around 3 bottles for front and rear tire. Last edited by blupupher; 03-02-2018 at 10:45 PM. Tell us how you like it. I am tempted also. 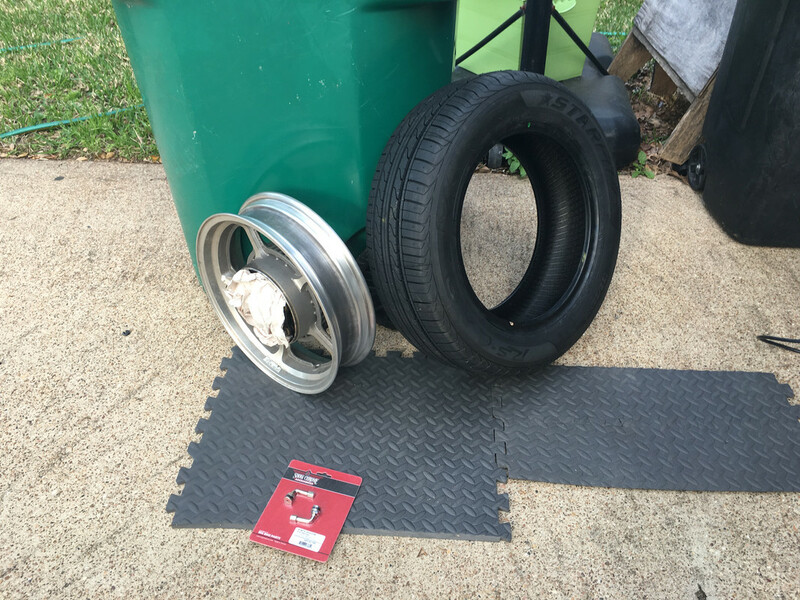 I had looked at a lot of car tires over years of working on cars. But I am no tire expert. I looked at the traction rating, an A would be a good choice. The temperature rating of A is also good. But noticed the 400 tread wear rating. So it will last a long time under normal driving. But I believe it means a harder rubber compound. So tell us how the traction is in real life driving. Some tires with an AA traction rating will have a lower tread wear rating because of a softer rubber but better grip. So I am interested in your findings. Of course the Bridgestone Spitfire tires on my bike now are like grease on anything but dry roads. I'd also find it interesting to hear how it handles. I will definitely post up how it does once I get it on and riding. I have been researching it for a few weeks reading almost everything online I can find. I know the risks of it and am comfortable taking them. Swifty, the 400 rating is not too bad, still a "sticky" tire for the most part. I have not really seen any real world reviews of this tire (on a car, much less a bike), so I am interested to see how it lasts. I have had my bike for almost 6 months and have only put ~2000 miles on it, so will take me a long time to wear this thing out. I will probably hit the age mark (made in 10/2017, good till 2013) before the tread wears out. Just in the 2000 miles I have put on the Dunlop 404 on the bike now I can see some significant wear (no idea of the actual miles on the tires, but they are over 6 years old). Once I get this sorted out, I need to decide on a front tire (am thinking the Perelli MT66, maybe a Shinko 777) and get that put on. I've got an older '66 on Envy which came with her. Not yet ready to change. Pirelli should give you 25,000 mi. easily. I had similar mounting issues when I tried to mount a C/T. 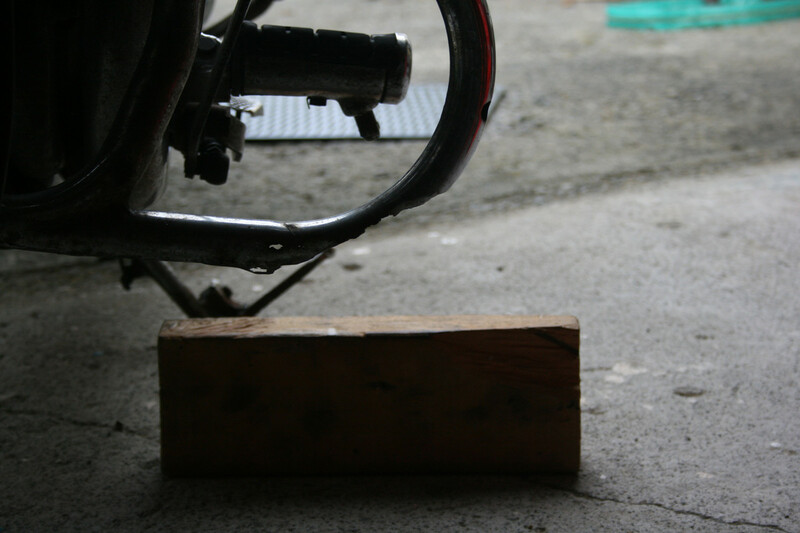 I went to 125 psi and it still did not seat. I have read of folks going as high as 150 psi to mount a 15" C/T. While I really want to go this route I do not like such a high seating pressure. I may do like you and get a spare rim to work this out with a different tire so I can still ride the bike. Look at the Bridgestone BT-45 or BT-45V "Rear" tires to mount on the front (double darkside). I did this and will do it again! 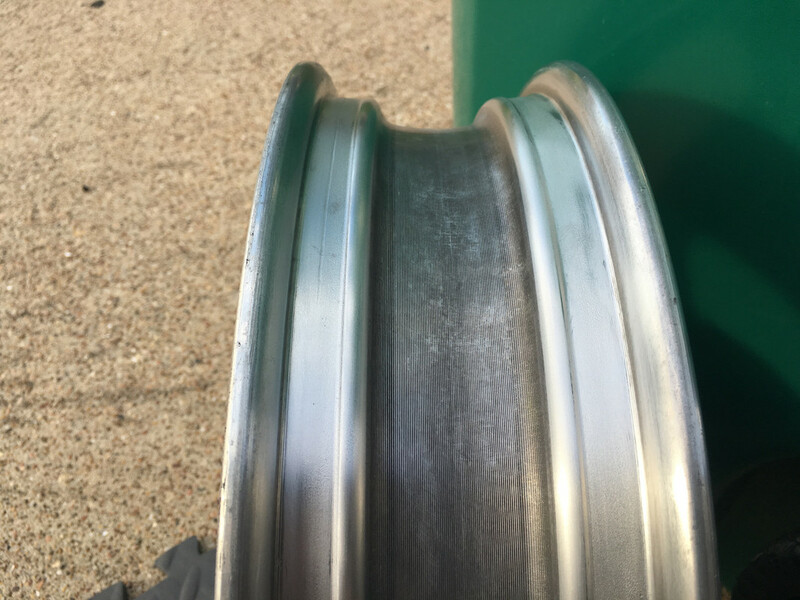 When my neighbor and riding buddy put a 205 75 15 trailer tire on his 2000 Shadow Spirit VT1100C (same bike as mine), we had a helluva time getting the bead to seat. Took everything my 145 psi compressor had before it finally snapped in. He loves the tire and says he doesn't notice any handling differences in it. Of course we are both very conservative riders and don't ever try to push our bikes to see what they will do or how they will handle. 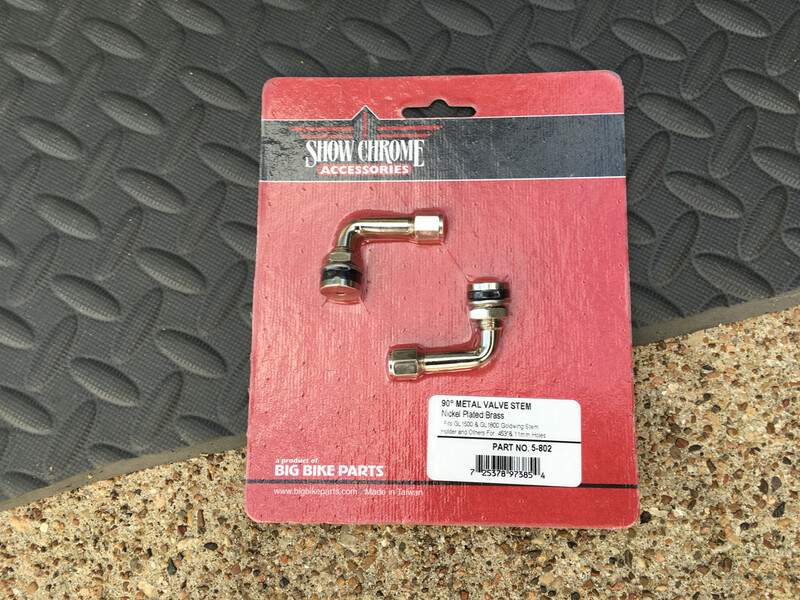 Use the shortest compressor hose you can since long hoses will really lower the psi at the nozzle end. I have over a hundred feet of hose on mine, and we had to install a 25 footer that day. Yeah, I read about your attempt, but you were using a tube, which makes it even harder to seat. I can't do double dark, nobody makes a 19" rear tire. And I don't feel like trying to figure out what other Honda's have an 18" rim that will have the speedo and brake setup on the correct side, that mounts correctly, and looks similar to what is on the bike now. My compressor only does ~100 psi max, I have a 25 ft hose. Problem is it does not kick on till 80 PSI. I was able to get it to ~90 PSI in the tire after I posted last night. It is sitting outside in the sun now at that pressure, if it seats, great, if not, I will mess with it more this afternoon. Just got back from a 2 hour ride with my daughter (momma finally said she could do some longer rides with me). Bike does not ride well with the two of us, but we are over the limit of it (I am 340, she is 120), so maybe the CT will help a little with the ride when 2 up. I've seen some tyre sellers/fitters doing this. What they do is they have a fairly large tank (around the size of a SCUBA tank) with a 1-2" pipe coming off it (I can't recall the size but I think more 2"), the end of the pipe flattened, and a valve on the pipe (a quick ball valve that only has 1/4 turn from fully closed to fully open). And an inlet valve to go to the compressor. They fill the tank with air, put the flat end under the edge of the bead, and open the valve quickly. 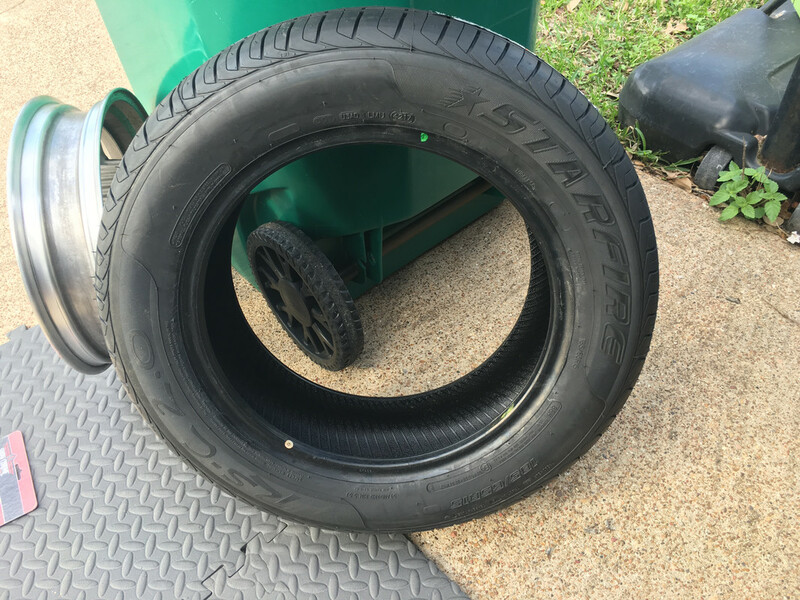 The air rushing in causes the tyre to pop into place. You could probably pop down to such a place, slip them a fiver, and be home again before your coffee had cooled.